According to the latest report in AARP’s Beyond 50 series, the biggest fear seniors have is losing their independence. This fear, combined with a fierce determination to “age in place,” is why many older ones refuse to ask for help that will keep them safe and comfortable as they age. Thus, it’s often up to the adult children and other relatives involved in family caregiving to be on the lookout for signs that their loved one requires assistance. 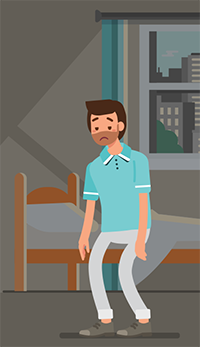 The following are common indicators that a senior needs more help. 1. Personal hygiene is declining. Basic self-care needs – such as bathing, grooming, and dressing – that go unmet are classic warning signs that the senior is losing self-awareness and interest. 2. Uncharacteristic weight loss. Losing weight for no apparent reason may indicate an inability to prepare regular, nutritious meals - another sign of decreased self-care ability and interest. Look in your loved one’s refrigerator; insufficient or spoiled foods are cause for concern. 3. Decline in housekeeping quality. Is laundry consistently piling up? Are dirty dishes always stacked in the sink? If you’re noticing more than the normal amount of dust, clutter, and disorganization, it may mean household tasks are becoming more difficult for the senior. 4. Senior shows bruises or other signs of injury. Abrasions or bruises likely result from falls the senior either doesn’t remember or want to share. 5. Bills are unpaid and finances are suffering. If your parent has always been a bit of a scatterbrain, this may not be cause for alarm. However, if a highly organized parent is now having trouble balancing the checkbook or paying bills on time, he likely needs assistance. 6. Medications aren’t being taken properly. Does your loved one have expired pills in the cupboard? Does she show signs of confusion when you ask her about her current medications or need frequent reminders? This issue might be resolved with a pill box.If not, you may want to consider hiring a part-time caregiver. 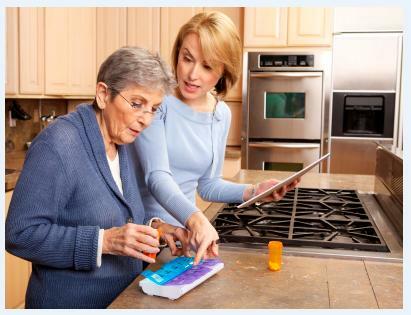 Using an in-home elder care agency that offers ClearCare care management software is an excellent solution for keeping track of medication administration. 7. Senior has begun hoarding. Keeping unnecessary items – from old newspapers to weeks-old grocery lists – may be a sign of dementia. 8. Vulnerability to predators. Elderly ones are at risk simply because of their age and circumstances, but some are more susceptible to fraud than others. A senior who has poor judgment or impulsive behavior is a prime target for criminals. 9. Leading a less active lifestyle or reduced interest in hobbies. Seniors who spend more time at home and less time socializing with friends or going to church are at risk for depression and loneliness. Drastic mood changes can also be a sign of illness, so it’s important that you remain alert for such changes. 10. Reduced mobility. 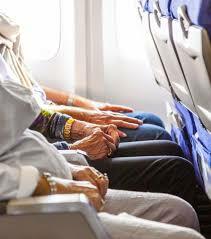 Muscle weakness and joint problems make it difficult for seniors to move around freely. A senior who is unsteady on his feet also has an increased risk for falling and incurring a debilitating disability. Older loved oned may not necessarily appreciate your suggestion of hiring extra help, so consider bringing reinforcements to the discussion. A trusted family doctor, geriatric care manager, or professional caregiver may help the senior understand that the situation does not mean he is losing his independence. The safer and healthier the senior is, the longer he will be able to remain at home!